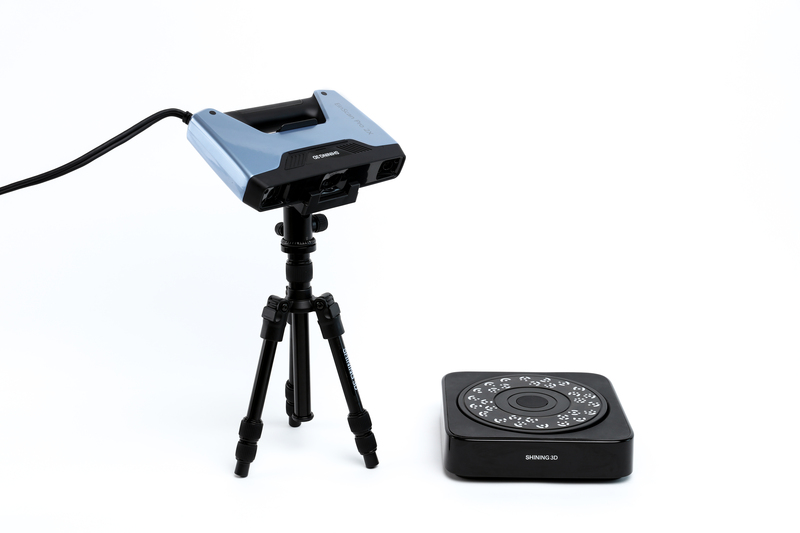 The EinScan-Pro 2X Industrial Addon contains a turntable and high-end tripod to allow for engineering-grade scanning of objects in an automated fashion. Used in conjunction with the EinScan-Pro 2X or 2X PLUS 3D scanners, the Industrial Addon package gives scan accuracy up to 0.04 mm. The turntable can auto scan objects as heavy as 10 lbs and from 1.5 to 6+ inches in size.